child loves to receive a balloon animal or other balloon figure created by balloon artists. ​Twisting unique balloons such as hats, bracelets, animals, flowers, bugs, sea life, special characters and much more. Let us twist fun into your events! ​Balloon art is what we do! We have been entertaining as balloon artists for many years in Toronto, Ontario and the GTA. We have performed 1000's of events all over Ontario, Canada. We can entertain your tuests at birthday parties, corporate events, restaurants, private functions, public events, festivals, fairs, grand openings, store special events and more. With both experience and pride we can positively interact with all audiences. We love to twist the fun into any event in Ontario! We also offer balloon decorating services. 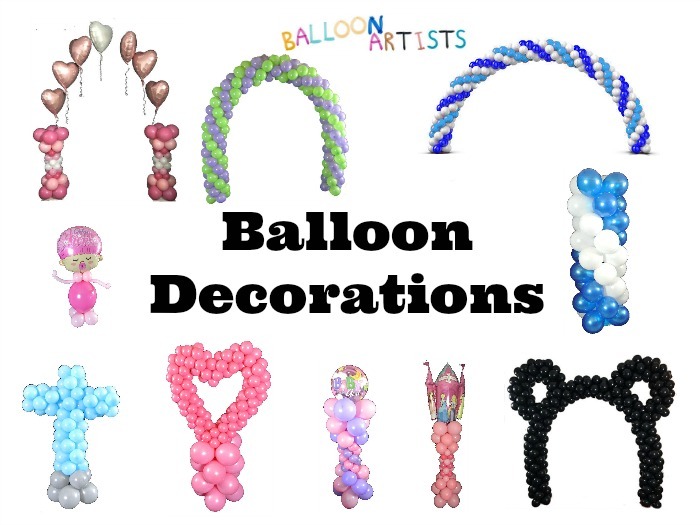 Please visit our balloon decoration website. Hire a balloon artist for any event or party!